Working with the Catalyst Team at BFA, Caren researched the landscape of global accelerator models for emerging market fintech startups to understand the offers for early stage acceleration. 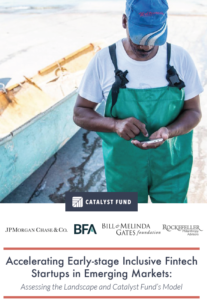 The report, “Accelerating Early-stage Inclusive Fintech Startups in Emerging Markets” assesses what Catalyst Fund does well and what it could do better. Read the report here. 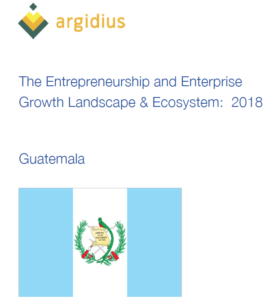 Argidius Foundation commissioned “Guatemala Entrepreneurship and Enterprise Growth Landscape 2018“. It was researched during April to June 2018 to reflect on changes over the last three years that have taken place in the ecosystem of support for entrepreneurship and enterprise growth in Guatemala. Working with a high street jeweler, Caren helped the team understand risks in their supply chain. Outputs included a new Code of Conduct, supplier terms and conditions, due diligence procedures and a Modern Slavery statement. Working collaboratively with the Better Cotton Initiative (BCI) team, Enabling Outcomes drafted a Theory of Change and supporting narrative. 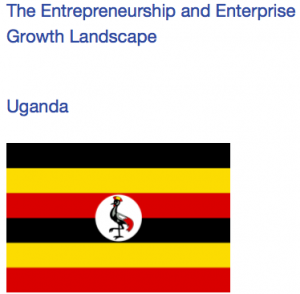 Activities included facilitating a team workshop and 1:1 stakeholder consultations. 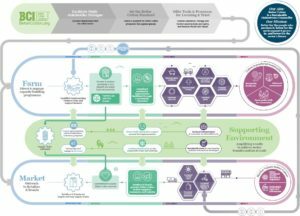 This process helped reinforce core areas of BCI’s work, identified areas for deepening and broadening BCI’s impact and influence to scale better cotton, and helped inform the scope of the monitoring and evaluation framework. 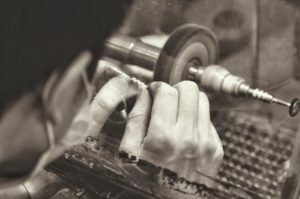 IRIS, an initiative of the International Organization for Migration (IOM), is a voluntary multi-stakeholder certification system for labor recruiters developed to support ethical recruitment of migrant workers. It is comprised of an international standard, certification scheme, and a compliance and monitoring mechanism. For businesses and migrant workers, IRIS serves as a due diligence tool for the assessment of labor recruiters. Enabling Outcomes worked with James Sullivan and Christine Carey to outline options and a path for the development of the standards system and certification scheme. Enabling Outcomes also led the development of the IRIS Theory of Change.